A perfect 15-20 knot North East wind gave the fleet a brilliant start to the 2017-2018 NSW 18ft Skiff Championship on Sydney Harbour today and thrilled the spectator fleet with some spectacular racing action. Current JJ Giltinan champion came out of ‘retirement’ to replace Lee Knapton and combined with Mike McKensey and Ricky Bridge on Smeg to score an all the way win in Race 1 of the 5-race championship. Smeg was the leader from shortly after the start and the Smeg team sailed brilliantly to lead throughout the entire race before crossing the finish line 2m12s ahead oft heir nearest rival, Noakesailing. The Noakesailing team (Sean Langman, his son Peter Langman and Rhys Mara) were also sailed a great race to be among the top 4-5 teams over the entire course. The Kitchen Maker (Scott Babbage, Sam Ellis, Murray Jones) finished strongly to grab third place 2m35s behind Noakesailing. Yandoo (John Winning) finished fourth, followed by Rag & Famish Hotel (Bryce Edwards) and Noakes Youth (Jack Macartney). U.S. champion Howie Hamlin sailed his skiff Harken by invitation and trailed Smeg in second place for most of the course and actually crossed the line in third place just 1s ahead of The Kitchen Maker. There was little between Smeg and Harken to the first windward mark at the Beashel Buoy and the pair staged a spectacular race to the wing mark off Shark Island. The pressure placed on Smeg caused a ‘moment’ when the skiff almost capsized on the gybe to stay ahead of Harken. Finport Trade Finance (Keagan York) was close behind the leaders but capsized in Rose Bay and was forced to retire. At the bottom mark off Clark Island, Smeg had established a clear lead over Ash Rooklyn’s Vintec with Noakesailing close behind, followed by Appliancesonline.com.au (Brett Van Munster), Rag & Famish Hotel, The Kitchen Maker and Noakes Youth. Shortly after rounding the bottom mark, Appliancesonline.com.au was rammed by a power boat and the damage to the skiff’s hull forced another retirement from the race. While Smeg was untroubled over the last half of the course, the race behind her was close. 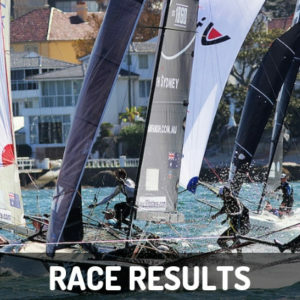 It’s still very early days in the championship season so there will be a lot of changes coming over the months ahead before the JJ Giltinan Championship in March. Teams such as Asko Appliances (James Dorron), Finport Trade Finance and Appliancesonline.com.au are certain to be big improvers. Each of the three teams has had a checkered start to the season and its only a matter of time before the talent is rewarded with some consistently good results. 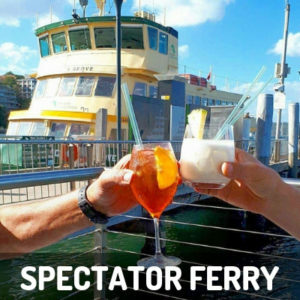 The Australian 18 Footers League’s Spectator Ferry will follow all the action of the NSW Championship. 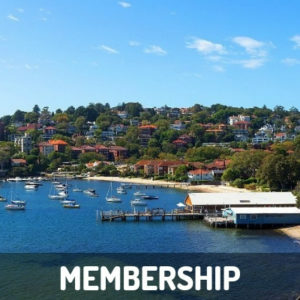 The ferry leaves Double Bay Public Wharf, alongside the clubhouse at 2.15pm. 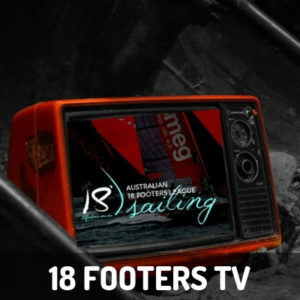 Live streaming is also available through www.18footers.com and features commentators who are former 18footer champions to explain everything that’s happening, in detail.